At SEO Web Marketing we work with a multitude of open source “free” content management systems to require the best search engine optimization for our clients. There is a multitude of advantages in having a content management system instead of static pages. Creating dynamic environments is the way of the future and helping integrate newer technology to your website and making it more appealing to future customers is key. Having the ability to channel Social Media Technology to your customers is an asset. The longer you keep a perspective customer on your site the better chances you have on generating a sale. Most of our clients are still running their website on outdated technologies and we help their company smoothly integrate towards a Content Management Systems which will help you bring down your overall costs for delivering your Products or Services to your prospective clients. The reason we work with a multitude of content management systems is no two clients are the same and their needs might be completely different. Some clients would like to be able to update their clients on a daily basis and for such we would recommend a different CMS then a client who might just want to update their website every month or quarter. WordPress was first released in May 2003 as a simple blogging system similar to blogger but it has now evolved to a full fledged content management system which allows to be fully modified and the look and feel surprises most of our clients. In today market wordpress is being used by 14% of the top 1 million websites. Joomla was release on August of 2005 and was a content management system build off Mambo, we often recommend Joomla as per it’s security, reliability and very large community which allows our clients to find new features free of cost. Joomla has grown over the years and it’s user security has always been it’s first priority and ideal for creating fully interactive sites and allowing customers to have access to certain parts of the website and clients to others. Drupal was first written in 2001 and most government agencies including the united states website “whitehouse.gov” utilize Drupal but it does have a huge learning curve. Unlike WordPress and Joomla, Drupal is mostly all command line which means you will need to hire someone which is familiar with HTML and PHP to be able to run your website. Drupal security is far more advanced then any other content management system but it comes at a cost of an extra employee to manage your companies website. 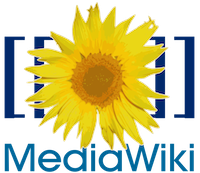 We normally recommend MediaWiki to our customer who would like to have an internal wiki for their employee’s. Imagine having the power of wikipedia but having everything in-house. We have trained company employee to utilize the wiki system and by doing so it has turned around the training process in all companies utilizing this content management system. Clients often want an in-house web analytics software similar to Google Analytics and we regularly install Open Web Analytics as per it’s precise nature. We normally bundle Open Web Analytics with Joomla or WordPress to give our clients the biggest visibility to their Internet Marketing Campaigns. OpenX is an open source advertisement server which allows to aim targeted ads to your clients from a multitude of advertising agencies to maximize your profits. Imagine being able to pick all your advertisers and being able to advertise different medium example on the first page advertise “google adsense” on the next page advertise “other advertising company”. This software works very well in maximizing our customers advertising and being to generate revenue from their websites. PHPBB is an open source forum software which allows customers to be able to interact with other customers on our clients websites. We normally recommend PHPBB to clients which already have an in-house I.T Technician as moderation of forums is a must. Having forums is a great idea for companies to have if they wish to have their customers interact with each other. Think of Status.NET as an open source twitter, this can be utilized for internal and external use but we normally recommend using this software for internal use as it promotes interactivity from employee’s and most of today’s youth love interactivity with their co-workers. Imagine an employee just made a sale, instead of the employee utilizing company time to go around every cubicle and advertising it he could just write on Status and then it would promote other co-workers to do a sale so they too could promote it and thus promoting good competition by your employee’s and increasing revenue. Let SEO Web Marketing help with your Content Management System!